Dow Pochana (โต๋วโภชนา) is a restaurant in Bangkok that specializes in Thai Chinese braised duck, and they do it really well. 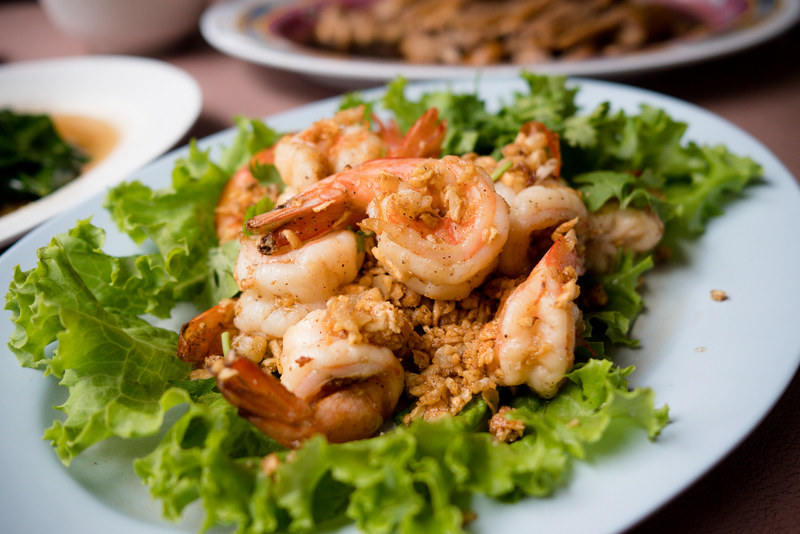 They also have a short menu of other complementing dishes, the fried garlic shrimp being one of my personal favorites. And they are only open for 3 hours a day from 11 am – 2 pm; they know how to keep the demand high! This is a restaurant I used to eat at quite frequently a while ago, but I hadn’t been back in years. So I was happy to get a chance to return. 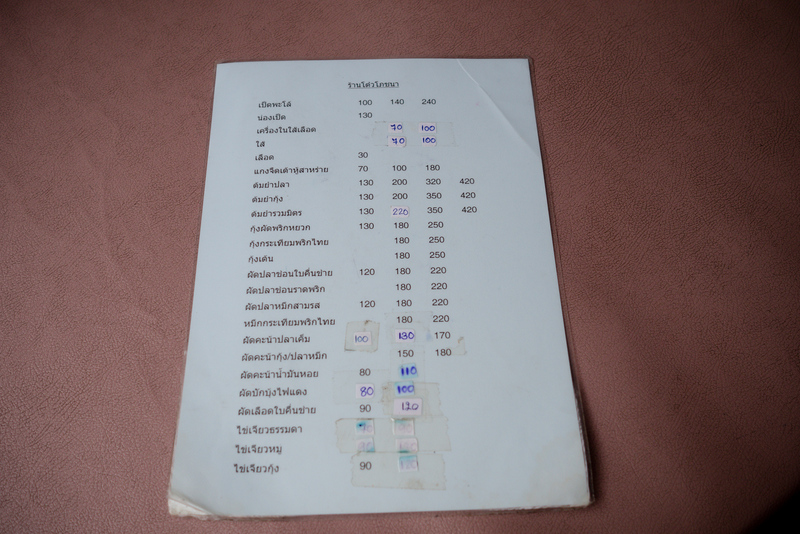 Their menu is all in Thai, I didn’t notice an English menu. But they only have a few different dishes, with a few variations of each dish. They also have the option to order small, medium, or large. At Dow Pochana (โต๋วโภชนา) they do have other dishes on their menu, but nobody goes there without ordering a plate of their braised duck (เป็ดพะโล้) – that’s what they are famous for, and rightfully so. Their duck is one of the most tender versions I’ve had in Bangkok, without being mushy. The braised juices were on the salty side, rather than being sweet, with a good blend of star anise. Additionally, their garlicky, sour, chili, dipping sauce complemented the duck wonderfully. 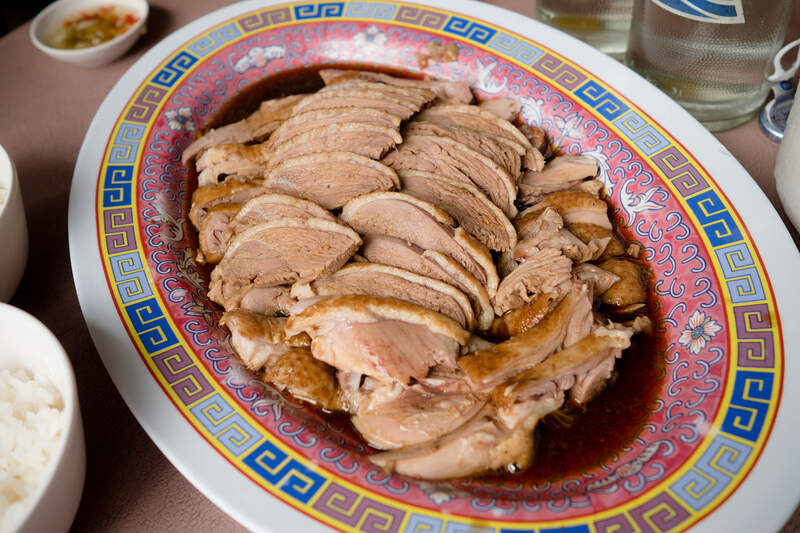 If you order a small plate of duck, you’ll with you ordered large – so just order large from the start. 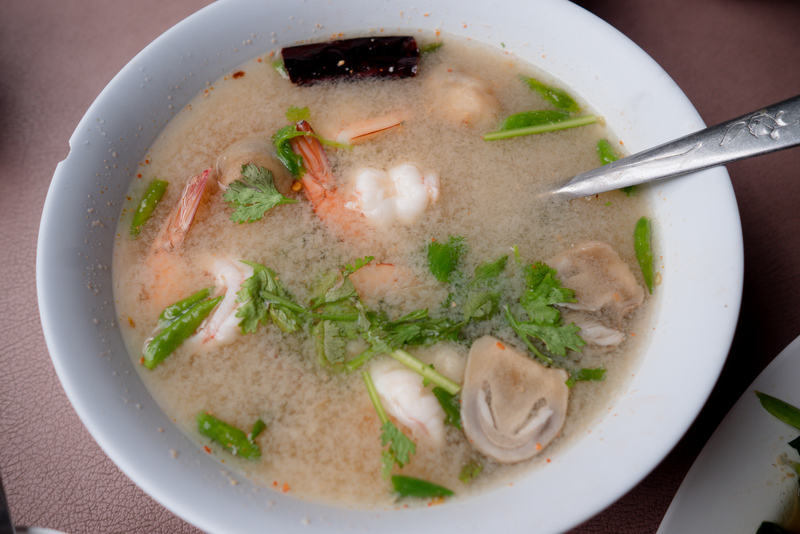 Their tom yum goong (ต้มยำกุ้ง) isn’t anything crazy or award winning, but just perfectly sour, spicy, and clean. Just enough bite of chili, with floating green chilies, not overcooked shrimp, juicy mushrooms, and a good handful of cilantro tossed in the bowl. I think it’s a perfect complement to a full meal here. The fried garlic shrimp (กุ้งทอดกระเทียม) is one of my favorite dishes at Dow Pochana (โต๋วโภชนา), along with the braised duck. Every time I’ve ordered it, it’s consistently not overcooked, and caked in just the right amount of caramelized sticky garlic. A lot of other loyal customers at Dow Pochana (โต๋วโภชนา) also love the shrimp fried with green peppers. 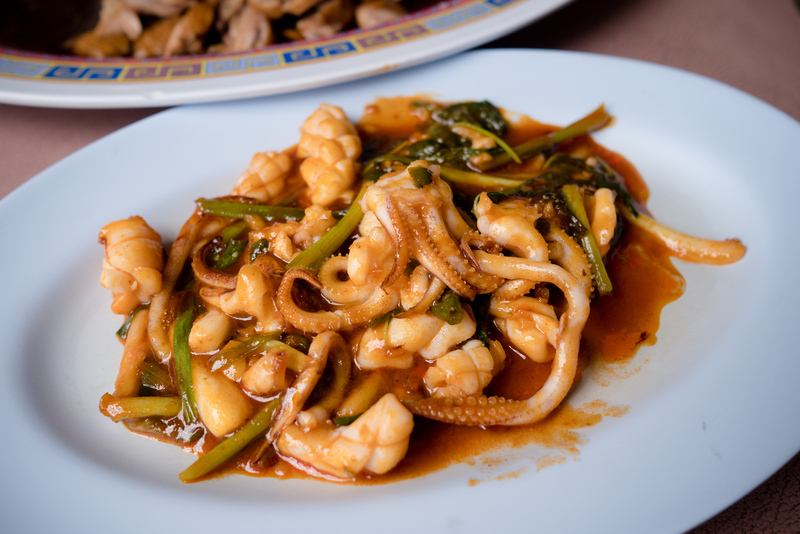 Pla rad prik is a dish of deep fried fish (in this case it was snakehead fish), then stir fried in a sweet and salty sauce, with lots of garlic and chilies. This dish is always sweet, a little sweet for my taste, but it was good for this dish. Again, I did enjoy the generous amount of chilies and garlic. 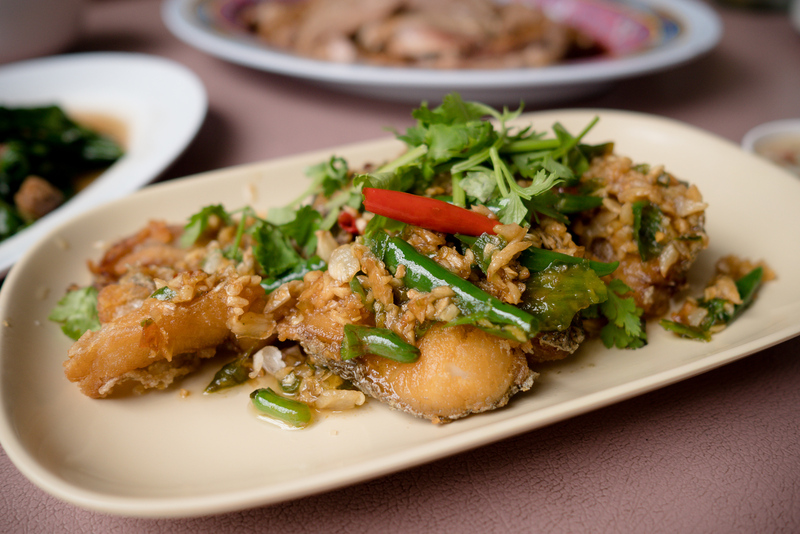 Sam rot (สามรส), or three flavors in Thai, is a dish that balances three flavors: sweet, salty, spicy. Usually in that order, but not always. I think this one was more: sweet, spicy, salty. My wife really enjoyed it. Again, not my personal favorite dish, but it was good for this dish, with a nice balance of the trio of flavors. Dow Pochana (โต๋วโภชนา) is a fantastic family restaurant in Bangkok that specializes in braised duck. It’s one of those places where everything on their short menu is delicious, so you can’t go wrong, but just don’t miss their braised duck when you go. 0 comments. I'd love to hear from you!